GOBLIN keyboardist and FANGORIA Musick Riff o.. Exclusive: Cusack Reads from Marie Roget in T..
International Poster for John Cusack’s ..
Relativity Media has released 27 more photos from director James McTeigue’s thriller The Raven, starring John Cusack, Luke Evans, Alice Eve, Brendan Gleeson and Oliver Jackson-Cohen. In the April 27 release, when a madman begins committing horrific murders inspired by Edgar Allan Poe’s (Cusack) darkest works, a young Baltimore detective (Evans) joins forces with Poe in a quest to get inside the killer’s mind in order to stop him from making every one of Poe’s brutal stories a blood chilling reality. A deadly game of cat and mouse ensues, which escalates when Poe’s love (Eve) becomes the next target. Head inside for access to the photos! Last night, during the season finale of The Walking Dead season 2, Lionsgate and Relativity took the opportunity to promote The Cabin in the Woods and The Raven, respectively. Smart move, as a lot of eyes were on AMC last night. After the jump, you’ll find new previews for both films. 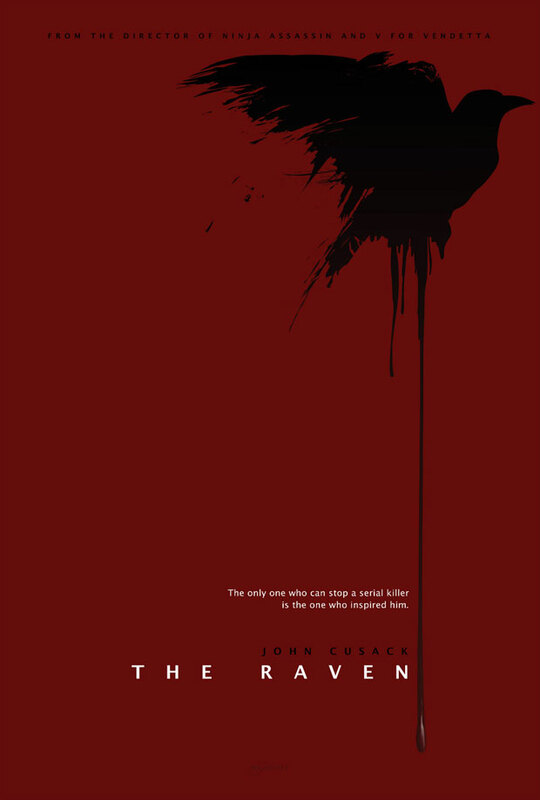 Cabin opens in theaters April 13th, Raven follows on April 27th. 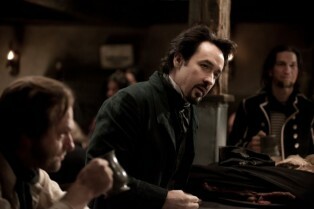 Relativity Media has provided us with three exclusive photos from The Raven. 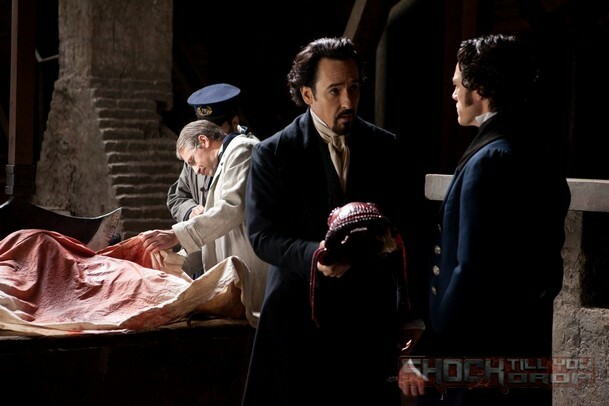 The pics are heavy on stars John Cusack and Luke Evans. The two play Edgar Allan Poe and Detective Fields, respectively, who team up to track a killer inspired by the stories of Poe. James McTeigue (V For Vendetta) directs from a script by Ben Livingston. 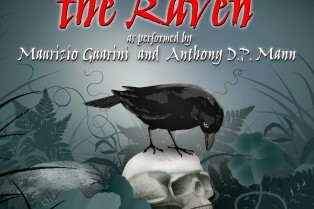 The Raven opens in theaters April 27th. Head inside for a special look at this thriller! 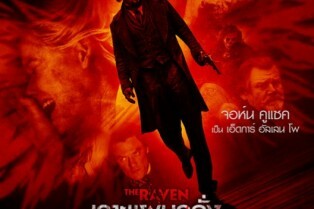 Relativity has release the first television spot for The Raven, opening on April 27th. 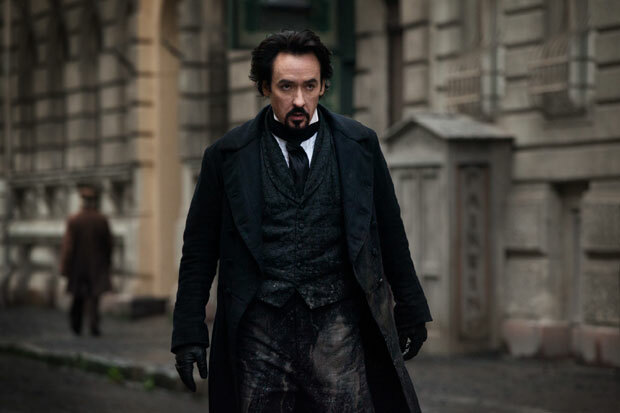 Starring John Cusack and directed by James McTeigue, the film finds Edgar Allan Poe immersed in an investigation in which a serial killer is using Poe’s writings as inspiration. Relativity’s updated synopsis goes like this. In the film, Edgar Allen Poe (Cusack) joins forces with a young Baltimore detective (Evans) to hunt down a mad serial killer who’s using Poe’s own works as the basis in a string of brutal murders. 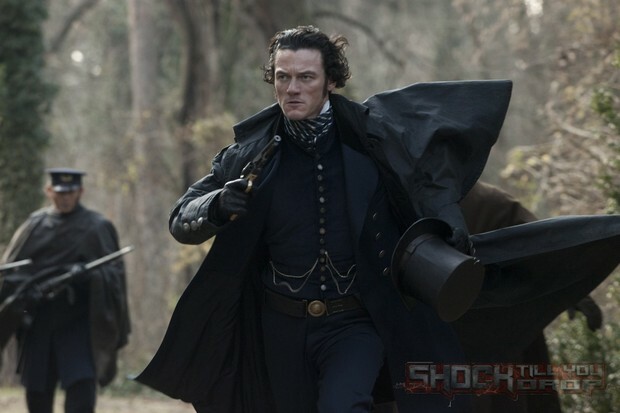 McTeigue and Evan spoke to Shock about the film last October. Read that interview here. How horrifying does this Poe murder mystery get? Previewing The Raven with John Cusack!